Amy Macdonald is a Scottish singer/songwriter who, at the age of 20, began topping the European charts with her Celtic-tinged folk music. Born on August 25, 1987, she studied social sciences while attending university and, like many teenagers, spent her days dreaming of pilgrimages to music festivals like T in the Park. Inspired by the songwriting skills of Francis Healy and the sweeping pop/rock of Travis, the 12-year-old Macdonald picked up a guitar that had been left lying around the house from her father's pop group days. She taught herself the instrument by following "how to play guitar" advice on the Internet rather than taking structured lessons, and the burgeoning songwriter played with a community music group before graduating to solo shows in the local area. The gigs featured Macdonald, her acoustic guitar, and a set of cover songs including "Everybody Hurts" and a slow version of "Mad World." Before long, her slew of performances in local coffee houses had turned into a mini-tour of Scotland, where she performed original material alongside headliners like Travis and fellow Scot Paolo Nutini. Festival appearances followed, including stints at Glastonbury, T in the Park, and V. Macdonald soon secured a recording deal with Vertigo Records, home to the Killers and Razorlight, before issuing two singles: "Poison Prince," a song about the tortured life of Pete Doherty offered as a limited online-only release, and "Mr. Rock & Roll," which finally launched Macdonald into the Top 20. Her debut album, This Is the Life, was released at the end of July 2007, where it climbed to number two during its first week on the charts. Over the course of the next year, This Is the Life continued to gain momentum and eventually went multi-platinum in several European countries. She began work on her sophomore effort in 2009, delivering the finished A Curious Thing -- another lucrative chart-topper -- in March 2010. Macdonald's third studio album, Life in a Beautiful Light, followed in 2012. 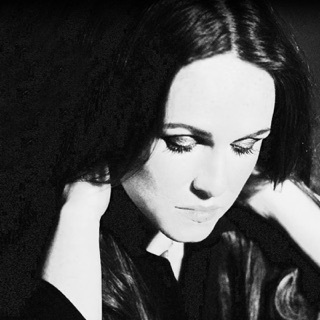 Macdonald took over two years to write and record her fourth studio album -- after giving it the time and attention it deserved, she released Under Stars in 2017.